Thanks, Obama by David Litt, reviewed. This memoir by a former White House speechwriter (and joke writer) is irresistibly charming. It also feels like the setup for a grim cosmic punch line. 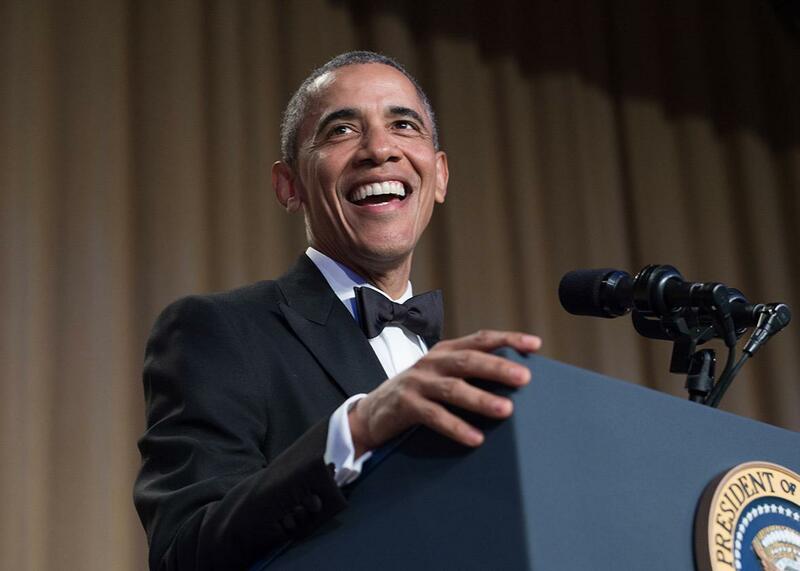 President Barack Obama speaks at the White House Correspondents’ Association Dinner in Washington on April 30, 2016. Thanks, Obama is the “hopey, changey” memoir of senior White House speechwriter David Litt, who at 24 was catapulted into the inner sanctum of American democracy to pen jokes for the president and his aides. Not just jokes—Litt also crafted remarks about criminal justice reform, immigration, climate change, Betty White’s 90th birthday, and more. But his coup de grace was masterminding Obama’s stand-up performances at multiple White House Correspondents’ dinners, including the one featuring Keegan-Michael Key as Luther the Anger Translator. Litt writes that his eight years at the White House—he left in January of 2016—impressed him with the importance of values like service, purpose, and respect; taking a front-row seat to the legalization of gay marriage, the passage of the Affordable Care Act, and the oratorical and personal bravery of the nation’s first black president convinced him that the arc of the universe, however long, does bend toward justice. Like an editor at the world’s most misanthropic humor magazine, history took Litt’s manuscript and punched it up, ironizing his earnestness and lifting the stakes of his private soul-searching: Can those who love this country really change it? I consumed Thanks, Obama as a eulogy, a call to action, and a fervent rearticulation of first principles. But it’s hard not to also experience it as the setup for a terrible cosmic punch line. At play here is something deeper than self-deprecation. You could argue that Trump has realized the memoir’s central, nagging worry: that Litt got lost in dreamland, hitched too much meaning to a fallible president and a flawed country, and was betrayed. Ultimately, your verdict on the viability of Thanks, Obama as a truthful reflection of what America is—not just what it was, or what we fantasized it was—probably depends on your temperament. In 2017, do you still think people are good? Can those who love a country change it? In my reading, at least, Litt makes room for pessimism without succumbing to it. The book, with its high-tide-low-tide rhythm of hope and disillusionment, is a bildungsroman mapped onto a political career. It narrates the shading of the author’s “great expectations,” but, as with most coming-of-age tales, what survives the onslaught of maturity has an earned resonance. “POTUS was brilliant,” Litt decides. “He was talented. He was on the right side of history.” He is also “just a guy.” In fact, though, Barack Obama is the guy—the one this memoir devotes its title to thanking, through the repurposing of a sarcastic meme. Litt minted his star converting world affairs into jokes. The translation of satire back to sincerity is trickier to pull off, and lands with its own undeniable grace. Thanks, Obama, by David Litt. Ecco.